Fluoride found in your toothpaste, mouthwash, or what your dentist places on your teeth still has a positive effect on your teeth. It strengthens the enamel and reduces the chance of tooth decay. If you have children and live in an area that has no fluoride in drinking water, you should consult your dentist and physician about fluoride tablets that are available for children. 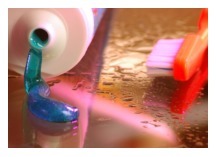 Your Little Falls, NJ Dentists can answer your questions about fluoride and decay prevention. If you live in the areas of Little Falls, Cedar Grove, North Caldwell, West Caldwell, Totowa, Wayne, Woodland Park and Lincoln Park, call 973-256-2222 or Contact Us for an appointment.